Getting your TV Wall Mounting done professionally is what makes all the difference to your living space when you’ve bought a new TV. When you get a professional job, cables are invisible; your screen sits flat against the wall; and you don’t need to worry about health and safety compliance because it’s as safe as houses! Not only that, but we’re the experts in making sure you get your TV sitting at the right level on your wall for the perfect view. We can Wall Mount your Television anywhere, and have a range of brackets that we can supply that will suit any application. We even know all the right heights and angles that give you and your family the best and safest view. We carry an extensive range of the latest cables at great prices that can be installed if required. 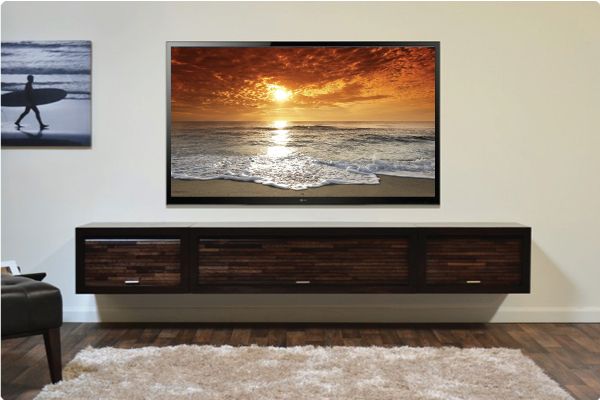 With every TV installed, we also offer the option of a full Cable Concealment so you never have to see your cords again. You’ll be amazed how much better your room looks and feels with this small change. We also do TV Wall Mount Installations for Business. Contact us and we’ll do a free quote. No job is too big or too small.